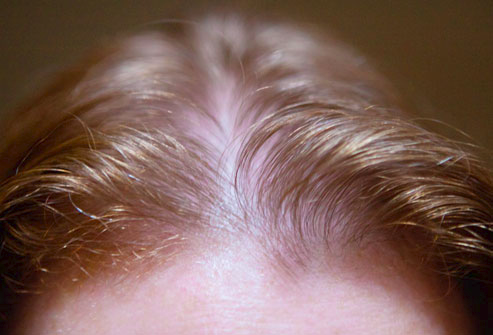 Is Hair regrowth or Hair restoration one of your new year resolutions? The new year is near and some of us have already made our list of what we would like to accomplish, the list of our resolutions. The one thing that might be on almost everyone’s list is most likely to stay in shape and to look good. The new year is near and some of us have already made our list of what we would like to accomplish, the list of our resolutions. The one thing that might be on almost everyone’s list is most likely to stay in shape and to look good. Many factors play a vital role in making you not only look good but also feel good and one of them is having a head full of hair that is styled just the way you desire it! Not having the proper hairstyle, density or hair to flaunt can give a something-is-missing feeling even if you are very good looking. So does your list of resolutions include nourishing your hair properly, getting your hair back or getting a hairstyle you are confident about and make you look attractive? We have compiled a list of suggestions that will keep your resolution alive throughout the year and ultimately fulfilled. Just decide where you stand in the following stages and choose what you can do to take care of your crown. 1) You have hair, but you are not satisfied with what you have. You might have a good amount of hair, but sometimes, just good is not enough, especially for the ladies out there. For example, it’s your cousin’s wedding in a month, and you don’t think you have enough hair length to get the hairstyle you want. Or let’s say you think your hair are not growing long enough. Even though there are certain tips to grow and nourish your hair faster, with which you can have longer hair, they take a lot of patience. But now, with our Flashpoints at your service, which is our reusable and sophisticated hair extensions, you can easily get long enough hair to style them any way you want. 2) You are noticing your hair thinning gradually. Do not worry, losing 100-150 strands a day is almost normal, but are you losing more hair or experiencing more thinning? Even after following all the tips and tricks from your near and dear ones, and researching all the internet, you are still not getting the cure for your thinning hair? Are you losing the volume of your hair? There is always a solution with Advanced hair studio when it comes to hair. Try our Advanced Laser Therapy. We guarantee you visible results. 3) You might have got bald patches or suffers from receding hairline. Bald patches and visible scalp? No worries. Our Strand-by-Strand Ultimate procedure is for you. It is the latest and most advanced form of hair transplant performed in our high tech infrastructure to give you the hairline you desire. Advanced Hair Studio has performed this procedure on some high profile clients who are satisfied with this hair replacement procedure performed by our expert team of hair loss specialists. Consult one of our hair loss experts now and know more about what the procedure is and how it is different from the other hair loss procedures in the market. 4) Lost most of the hair from your crown to hairline. Do you think this problem has no solution? With Advanced Hair Studio, no hair loss related problem is too big! We have solutions to any type of hair loss problems. What if your hair follicles can no longer give your hair density back? Worry not. We have mastered the art called Strand-by-Strand Cosmetic. This is a far more advanced hair restoration procedure in terms of technology, giving you better hair than you were born with. How about us showing you the method behind this magic? Get in touch with us, and let us discuss this in detail. And if you still didn’t find your solution, don’t worry, we guarantee a solution to your hair loss. We can combine any two or more of the above procedures to achieve the desired result. We are definitely able to help you with your new year resolution, the question is are you ready to see the better version if yourself? Macadamia nut tree is found in Hawaii and Macadamia oil is taken from the nuts of this tree. The nuts actually fall from the tree and then are husked. A stem cell hair transplant is just like a conventional hair transplant treatment but is being referred to be an option.. Hair miniaturization is a natural process that occurs in almost all hair loss cases.